Heidi Berry was born in Boston, Massachusetts, but moved to the UK in the early Seventies. 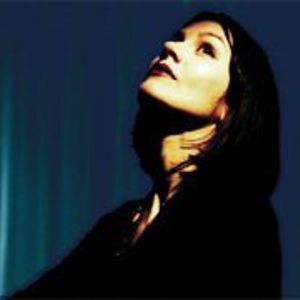 She made her debut recording, "Firefly", for Alan McGee's Creation Records in 1987, and followed this up with an album, "Below The Waves" in 1989. One of the standout songs from this collection, "Northshore Train", was also featured on the Creation records compilation, "Doing It For The Kids", and easily showed itself as the standout track on what was an excellent compilation. Heidi later moved to 4AD, after appearing on an album by This Mortal Coil, and the 1990's saw three beautiful, singular albums - "Love", "Heidi Berry" and "Miracle". A compilation, "Pomegranate" is also available. Heidi Berry is the owner of one of the most emotive voices to ever record, and her songwriting has her ranking up there with Sandy Denny, Nick Drake, John Martyn and the miniscule few others who share her mastery of this art. The fact that she is not far more successful than she is can come as a bit of a shock after listening to just one of her many songs. If ever a singer deserves wider acclaim during their lifetime, it is Heidi.